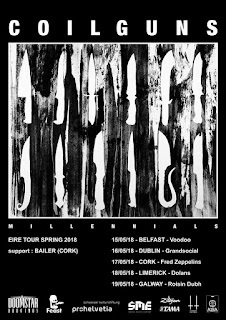 Swiss band COILGUNS are pleased to announce that they will tour Ireland in May. 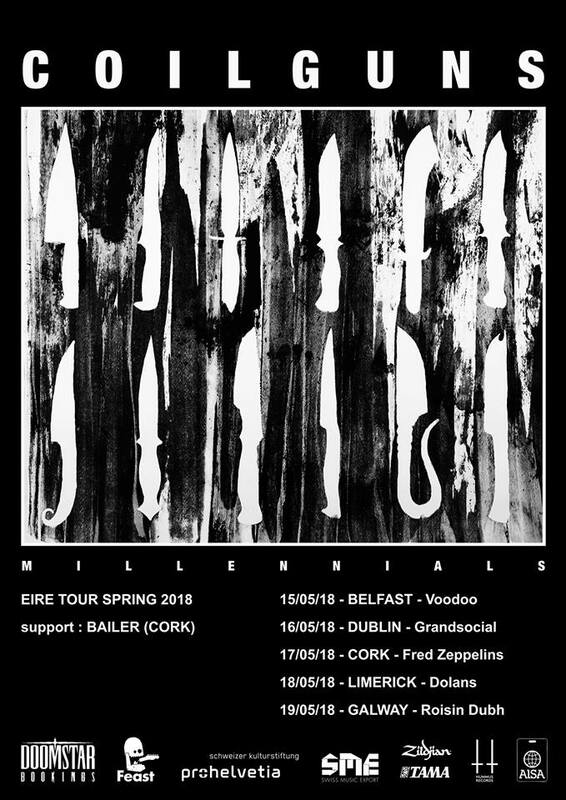 All dates will be in support of their recently released album "Millennials". The band commented "We’ve toured Ireland twice few years back and we are stoked to be returning to the place where we’ve mad so many friends. We’re even happier that the tour is promoted by Ruiair and Josh from FEAST. We toured together with Josh’s band Ilenkus back then and when FEAST just started doing local shows. It’s great to see them now taking over national tours. As this wasn’t not enough, support for these shows will come from Bailer which features David Cleere on bass. I can’t even recall since when David and us are friends but sharing the tour with him and the lads will surely be a blast. Ireland, get your helmets on."